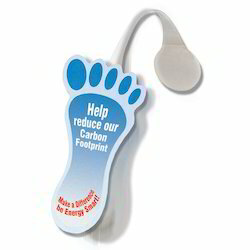 We are a leading Manufacturer of promotional wobblers and promotional danglers from New Delhi, India. With the constant support of our experienced team members, we manufacture and supply a wide assemblage of Promotional Wobblers. Being one of the eminent names of the business, we bring forth Promotional Danglers that are widely used in parties, social gathering and business events. Known for their eye-catchy designs, unique appearance and clear depiction, the proffered promotional danglers are widely acclaimed among our precious patrons. Furthermore, we fulfill the diversified requirements of our clients, by offering these in customized specifications.